Family businesses are an important and irreplaceable part of the world economy. Around 30% of world businesses are family businesses. At the same time, they generate about $ 1 billion in revenue each year. Family businesses are unique only because of their creators' motivation and goals, and the forms of the management. 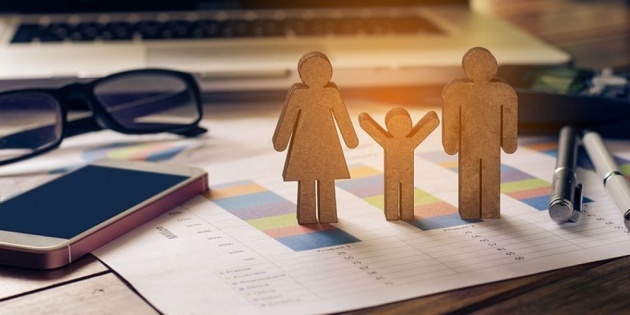 The family business has to deal with issues related to attracting talent or managing a company but also to look out for a balance between business and family interests. The most vivid example of the financial success of family enterprises are the business empires of the Rothschild and the Rockefeller families. No one knows exact numbers of money these two families earn. The representatives of both families are not at the head of the popular lists of the richest people in the world - they believe that money loves silence. While there are considerable challenges when you transition your business to the next generation, there is also considerable reward for those that do it successfully. 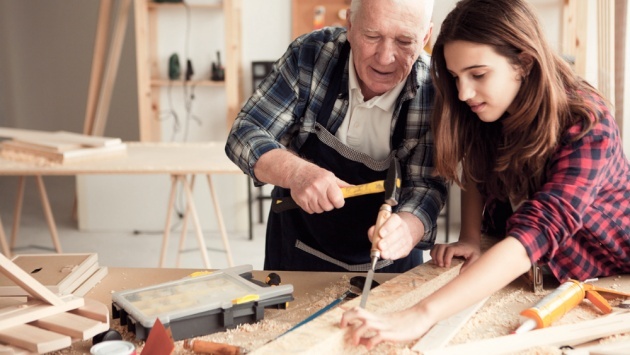 Beyond financial gains, the successful multi-generational family business creates strong and enduring family relationships, makes significant contributions to their communities and establishes a legacy for future generations to be proud of. The main idea, regardless of the scale of enterprises, is one - reliance on one’s own family, because only close people can give something that cannot be bought for any money - loyalty. But the problem is that a family built company may not always be effective and sustainable. The family business is a quite frequent phenomenon in the business world. Some even say that people in our country do not like to share their income or shares with others in general. Two - three shareholders, and the best one - this is the typical individualistic image of our business. Let's talk what are the main pros and cons of creating and managing the family business, and how to succeed there? The most important advantage in helping a family business is that you work with loved ones who you trust, who you love, who understand you. With such basic data, you can create a very warm atmosphere at work that will motivate and inspire family members and employees to carry out things that benefit everyone. Members of one family realize that they work for the common good and it is in their interests to build a successful family business. A good warm atmosphere in a family company with adequate leadership can extend not only to relatives but also to employees. There is still flexibility in decision-making, there is no multi-level bureaucracy, there is an opportunity to talk with colleagues and superiors in normal human language. And they make the decisions faster. The family motivates to keep the business profitable and stable for future generations. If you want a stable long-term job, this is ideal. The next advantage of the family business is the opportunity to include your children in it, starting from the middle school age. In the process of familiarizing children with business, you teach not theoretically but practically using your experience and knowledge gained in a particular case. A vivid example of parents is much more effective in acting than unsubstantiated teachings and theoretical knowledge in educational institutions. A steadily progressive and profitable business could be inherited, thus ensuring the future of the children. You keep the family secrets of production. It means that only your bakery will make such tasty muffins, and competitors will never know about the secret of your dough's components. The trust between relatives does not need verification. When you take a person from the street to a high work's position, trust in him comes only after some time, after long checks, and this does not concern relatives. One thing will additionally unite the family - common business and the same interests will give additional topics for conversations and, accordingly, bring the family closer. 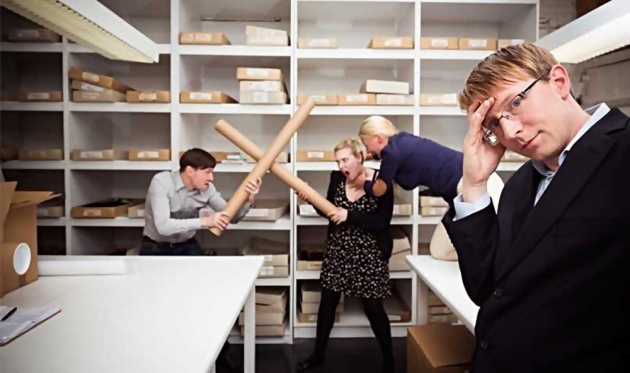 Working with family members and friends often leads to conflict situations. You are too strongly connected emotionally, which is why you take working moments to heart. It interferes with work. 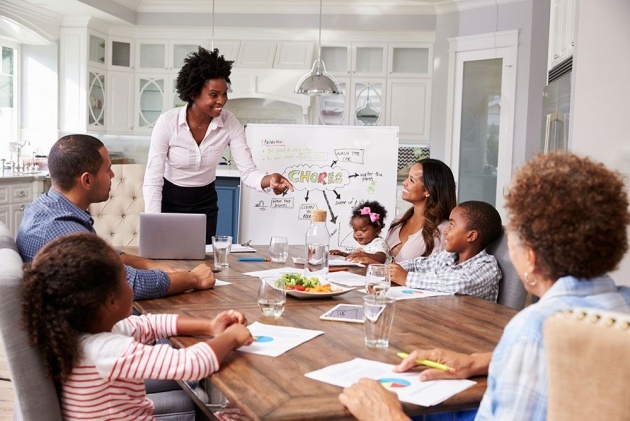 Children and other relatives of directors often make great career growth without the slightest prerequisite, which leads to dissatisfaction among employees. Family members are usually grown up in the same way; this can lead to unfavorable and narrow-minded decisions. In addition, it excludes the possibility of making decisions beneficial for the entire company but will adversely affect one of the relatives. Family relationships can deteriorate due to material interests. Your business can both grow and burn out. Big money and stable wages can cause envy, and problems on the contrary misunderstanding due to money's reduction. The double risk in case of failure of the company; it concerns the family budget. 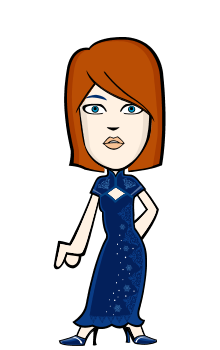 When the common business collapses, and the husband and wife receive the main income from one place, they become complete bankrupts. There could be conflicts due to poor performance or absenteeism. Relatives can sometimes take advantage of your good attitude in case of bad work and absenteeism. Lack of complete subordination. When the family has no respect for you, you cannot wait for it at work. Not quite the correct assessment of the loved ones' ability when applying for a job. Sometimes it happens that your relative needs a job, and in terms of qualities, he doesn’t fit the job's position at all. But you have a good heart and hire him, which for your business will bring only losses. First, we need very strong leadership that will be able to combine the family and common business' management. Establish the mandatory rules for all, without exception. All employees must work in the office on the same basis, no one can forget about the rules and working regulations. It is better to start this business after collecting the necessary information and gaining experience in this field. Work first in the area in which you want to open a business to see all the problems that may arise to prevent them. Positions related to money are better to give to only closest family members. No matter how good a person is your relative by marriage, it is better to entrust him with another job, although this rule is not always correct. Never start working with problematic relatives; they will take their problems to the office. If someone does not respect you at home, he will definitely not do it at work, and even his temporary hypocrisy will end sooner or later. Hire only those people who have the qualities you requested for the particular job's position. For example, if your aunt cannot remember elementary things, do not offer her a work's position that requires constant monitoring of a large amount of information. Do not impose business on children; this will be bad for everyone. If your children have own dreams, let them choose their way in life, because not loving the business will destroy it faster than the employees hired from the outside. Adhere to the rules of psychological ecology at work talking only about the case, and at home only about the family. Carrying work problems into the house will not give you time to rest and rethink these issues. The same goes for family problems, talking about them only outside the office. Do not forget about the rest. For more successful progress, it is sometimes necessary to give the brain a break and get positive emotions. Indicate the duties immediately upon admission to work, and never go beyond the scope of the agreement. If you want to assign more responsibilities, the first thing to do is to ask whether the employee wants it, and be sure to assure that all this will be additionally paid. Family businesses from the outside may seem less ambitious. Their owners are often completely satisfied with the revenue themselves and their loved ones and are not even considering major development. Such a provision can easily be confused with stagnation, but it would not be a fair assessment. 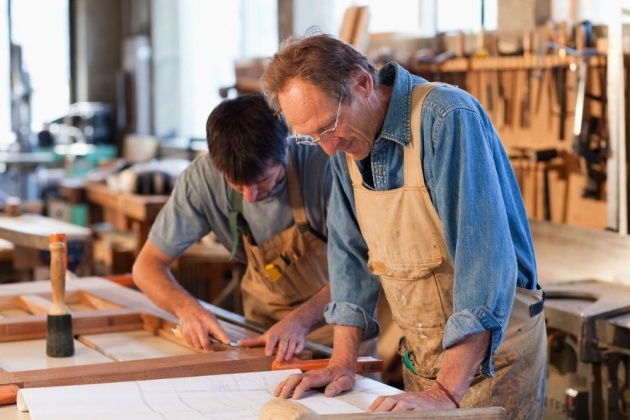 Family businesses are simply characterized by avoiding higher risks and choosing stability. On the other hand, we distinguish family businesses by their flexibility, their ability to adapt to changing circumstances. In France or Germany, in countries where family business has deep traditions, they make about 40 percent and is successfully operating for decades. It is still popular in Lithuania to believe that family business in our country does not yet have deeper traditions. But today it is not entirely true. Already the second generation comes to the family businesses. Children join a business run by their parents and often take over the steering wheel of business. Entrepreneurs developing a family company have a strong attachment to it. Tomorrow is more important to them than today, so they have the will to make decisions that may have unpleasant consequences in the near future but will be beneficial in the long-term. 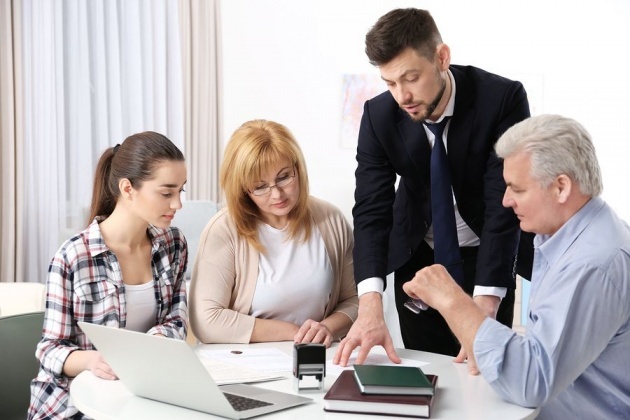 If you want to pass your family business along to the next generation, putting off business succession planning is the worst thing you can do. 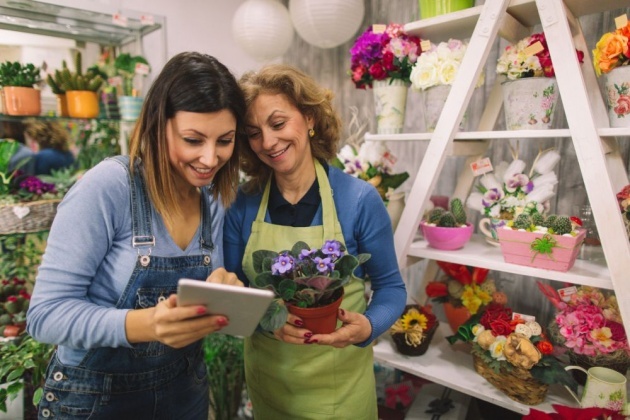 A good succession plan can ensure that you have the funds you need to retire and that the business you have built continues to thrive in the hands of the next generation. The passing on of the company's management process is one of the most difficult tasks that family businesses have to fulfill. Their control is usually for entrusting to the children or grandchildren. But recently I read that only one-third of the cases succeed, and as many as 74% of European family businesses are now managed by hired managers. With changing generations, there are two directions selected by the founders of family businesses. The first management way is to entrust the business to your kids. This is a bit risky way because family offspring do not always have the abilities necessary for managing a business. A somewhat more cautious alternative is to entrust the family business to the hired managers with the necessary competencies and experience. In recent years, there is also a tendency to combine these two approaches. Increasingly, the younger generation is purposefully preparing for business takeover. Increasingly, the younger generation is purposefully preparing for business takeover. A hired manager is a logical solution when a child's owner chooses a career in another field. A hired manager is a logical solution when a child's owner chooses a career in another field. Family business' founders say that external managers are a key reason in the success and evolution of their business. Business is psychology, and often its stability depends on the level of trust in the team. However, it is very important to draw a clear line between personal and business relationships. Remember the family business is quite attractive but does not tolerate carelessness. 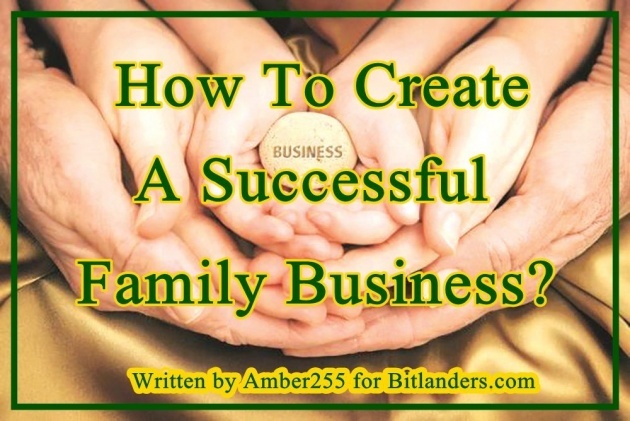 Only the proper organization of the family business and the proper use of each family member in it can bring positive results. And then all the participants in the business can fully benefit from its benefits. In any business, the main thing is to have strong nerves, peace of mind, and be sure, that following after the set plans, you can make a great success. If you want to make your family company grow fast, to be successful and expand your horizons, it is important to find a balance between personal relationships and business. In conclusion, I would like to advise you to think about whether to start a family business, take note of all the risks and start a business only with full confidence that your family's well-being will not be affected in a bad way. Nice information and good gudines.